The Sumatran tiger is among the most critically endangered species in the world, with just 400 tigers surviving today. Its natural habitat is also one of the most threatened regions. With a new virtual reality experience, visitors to Into the Wild at Singapore’s ArtScience Museum can get really close to this threatened species, walk through and learn more about its rainforest habitat. All you need to guide you on this educational virtual adventure is a smartphone with Tango, a technology that enables augmented reality experiences. 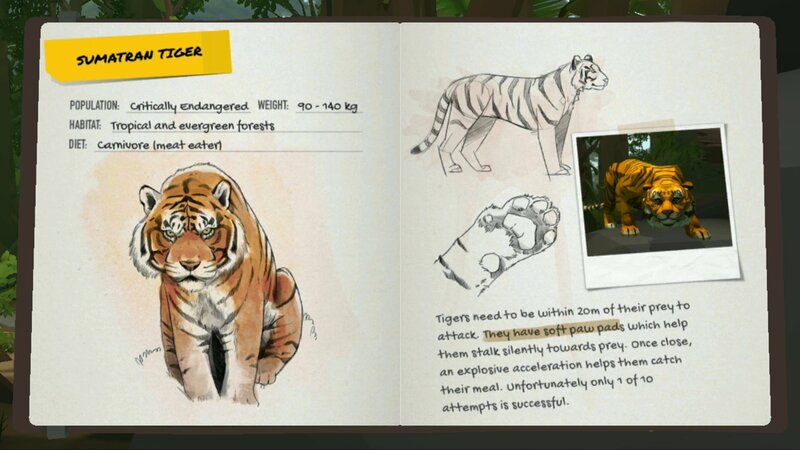 Into the Wild helps raise awareness for the endangered Sumatran tiger through an augmented reality experience built on Tango technology. You can tap on cards to view more information about the animals. With phones that use Tango technology, it’s possible to track motion, understand distances in the real-world, and recognize locations. This is what makes it possible to build a virtual world on top of the real one. Into the Wild is only the second virtual and augmented reality museum experience using Tango. Start your digital adventure by picking up a Lenovo Phab 2 Pro when you enter. Fire up the device, follow a kaleidoscope of butterflies and watch the real world transform into a virtual forest. As you walk through the exhibit and point the tablet in different directions, you’ll experience what it’s like to walk through the rainforest and meet some of its inhabitants along the way, many of which are endangered by deforestation and other illegal activity. You’ll discover a mouse-deer — the smallest known hoofed animal — that’s been trapped. You can help it escape by tapping the cage it is caught in. Continue on your journey, and you’ll come across a stream and see a Malayan tapir as it waddles toward the waterfall for a drink. Malayan tapirs are hard to spot as there are less than 2,000 of them in the wild. You might then see an orangutan enjoying some fruit as it lounges in the trees. But all of sudden, a raging fire will shatter the tranquil scene and blanket the forest with thick smoke. What happens next? You’ll have to find out when Into the Wild opens at Singapore ArtScience Museum on February 11. Best of all, your actions can have a direct impact in the real world. When you complete your adventure, you can plant a virtual tree and donate to the WWF to help their efforts to restore Southeast Asia’s rainforests. We’re thrilled by this collaboration with Singapore ArtScience Museum, Lenovo, WWF and many other great partners* to bring the Southeast Asian rainforest to life. 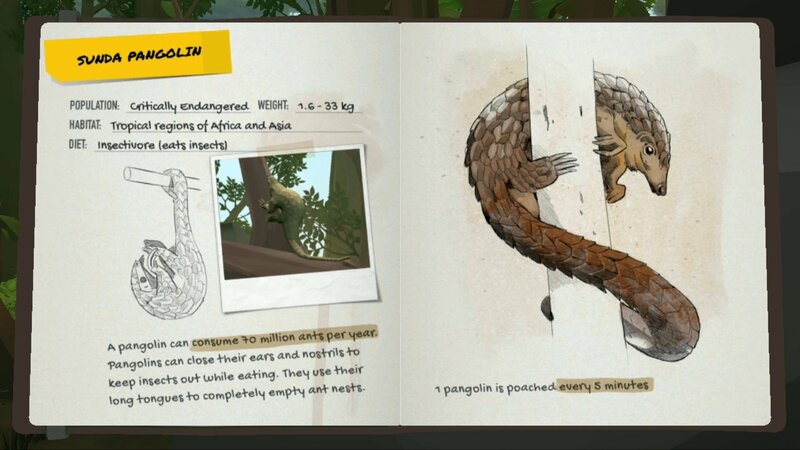 We hope Into the Wild helps more people learn about some of the world’s most endangered species and their habitats, and that it sparks and inspires the imagination of current and aspiring developers to build many more exciting AR/VR experiences. *Into the Wild was built in collaboration with Lenovo, WWF and Singapore artist Brian Gothong Tan, in association with Panasonic and Qualcomm, and developed by creative production company MediaMonks.